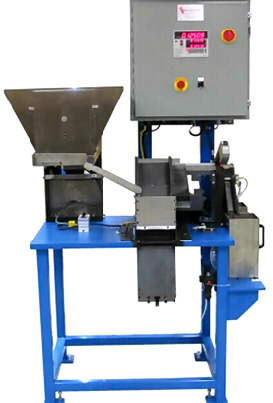 CDS Manufacturing designs and builds automatic diameter sorting machines. This system sorts bearings and pins for diameter using LED diameter inspection equipment. Be sure to CHECK OUT THE VIDEO BELOW. The operator enters the high and low limits into the controller and then loads parts into the bulk hopper. Parts are automatically fed from the bulk hopper to the feeding system. In this case, the customer designated a step feeder. 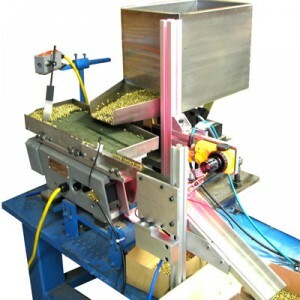 This system may also be provided with a vibratory bowl feeder or vibratory inline feeder. The number of parts in the feed system is automatically monitored and maintained. Parts in the proper orientation are fed to the diameter sorting station where an LED measures the diameter. Parts are fed from the diameter inspection station to a good / reject part gating system where they exit the system via their respective output chutes. 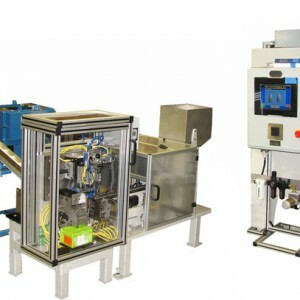 Modular diameter sorting stations can also be provided for use with your feeder system.